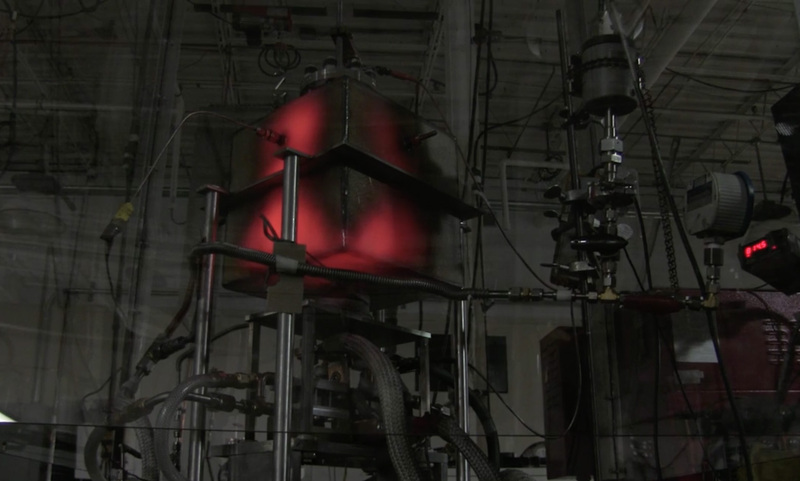 This is a NEWS PORTAL dedicated to experimental research on REVOLUTIONARY ENERGY TECHNOLOGIES. We propose to you to use this site as THE concentrator of choice for valuable news on the fascinating but still controversial subject of over-unity (O/U) fuel-less energetics (devices tapping the Zero Point Energy (ZPE)/ Vacuum/ Cosmic/ Ambient energy fields) and related. We want to let the general public know that this is an active field and good progress is made towards validating this technology and bringing the first commercial operational device to the market. "Mighty, sublime, wonderful, as have been the achievements of past science, as yet we are but on the verge of the continents of discovery. Where is the wizard who can tell what lies in the womb of time? Just as our conceptions of many things have been revolutionized in the past, those which we hold to-day of the cosmic processes may have to be remodeled in the future. The men of fifty years hence may laugh at the circumscribed knowledge of the present and shake their wise heads in contemplation of what they will term our crudities, and which we now call progress. Science is ever on the march and what is new to-day will be old to-morrow." ---> Dear ZPEnergy readers: In April this year (2019) ZPEnergy will celebrate it's 18th year online. Unfortunately, the software running our website is old and it's increasingly difficult to maintain; we must upgrade ZPEnergy to more modern software but we need your support to do it properly. If any funds left, we are also looking into finalizing our Xtreme Science Foundation project (XSF) website. If you would like to help us in this endeavor, please send your Bitcoin donations to: 17Tm5WvZDvhdujABsK84tsPz8dLHg8NuLT , or use the PayPal option (SUPPORT ZPEnergy link). When (and if) the proposed XtremeScienceFoundation.org site will be up and running, some content from this site will be transferred to the new location and ZPEnergy.com will be available for sale to the public (use Feedback to contact us if you're interested). For now, please read about the XSF/XS-NRG Prize in our Special Sections, in the Stories Archive and Surveys (comments). Using three spectrometers power calibrated by NIST calibration light sources, the optical powers and spectra over the 20 nm to 800 nm region were absolutely determined on hydrated silver shots caused to detonate with a low-voltage, high current pulses. Continuum high-energy, extreme ultraviolet (EUV), radiation at megawatt average and 10-megawatt peak power levels were observed. The EUV spectrum matched theoretical predictions for the electronic transition of a hydrogen atom to the hydrino atomic state with a quantum number of ¼ catalyzed by nascent HOH. Anonymous writes: In quantum materials based on transition metals, rare-earth and actinide elements, electronic states are characterized by electrons in orbitals d and f, combined with the solid's strong band formation. 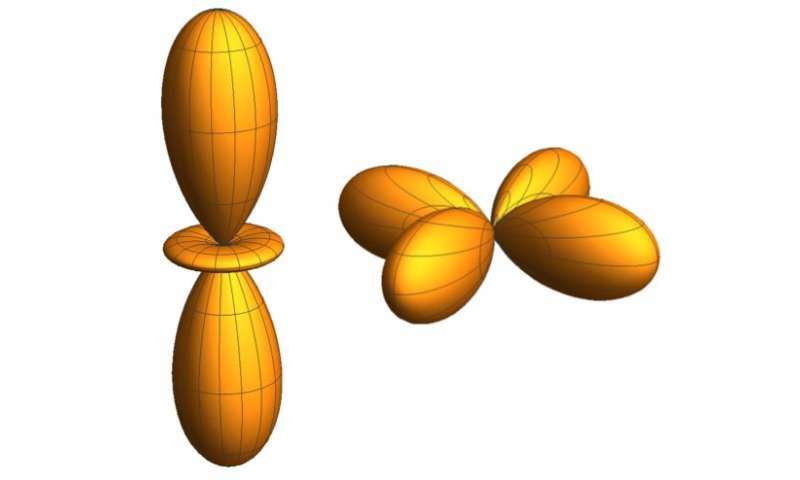 Until now, to estimate the specific orbitals that contribute to the ground state of these materials and determine their physical properties, researchers have primarily relied on theoretical calculations and spectroscopy methods. In a recent study published in Nature Physics, a team of researchers at Max Planck Institute Dresden, Heidelberg University, University of Cologne, and DESY- Hamburg attempted to image a material's active orbitals directly in real space, without any modeling. The imaging technique they devised is based on s-core level and non-resonant inelastic X-ray scattering. In quantum physics, a vacuum is not empty, but rather steeped in tiny fluctuations of the electromagnetic field. Until recently it was impossible to study those vacuum fluctuations directly. Researchers at ETH Zurich have developed a method that allows them to characterize the fluctuations in detail. Emptiness is not really empty – not according to the laws of quantum physics, at any rate. The vacuum, in which classically there is supposed to be "nothing," teems with so-called vacuum fluctuations according to quantum mechanics. Anonymous writes: A new type of light-emitting diode has been developed at TU Wien. Light is produced from the radiative decay of exciton complexes in layers of just a few atoms thickness. 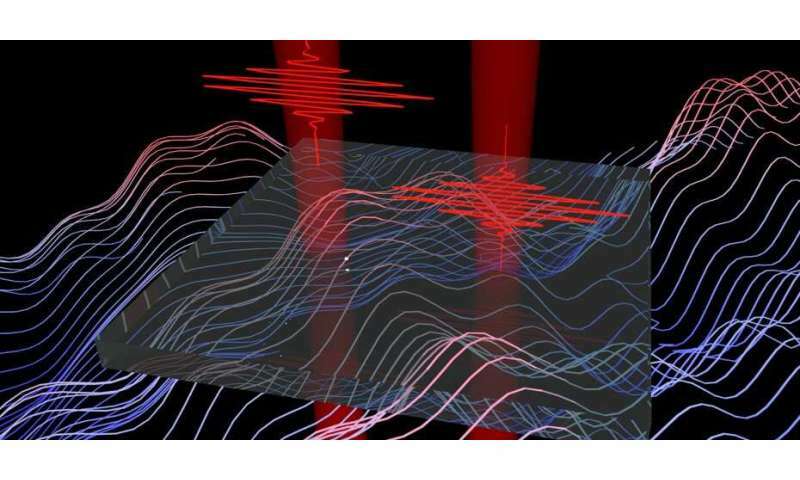 Researchers at TU Wien have now managed to utilise this: so-called "multi-particle exciton complexes" have been produced by applying electrical pulses to extremely thin layers of material made from tungsten and selenium or sulphur. These exciton clusters are bonding states made up of electrons and "holes" in the material and can be converted into light. Anonymous writes: New data from the STAR experiment a the Relativistic Heavy Ion Collider (RHIC) add detail -- and complexity -- to an intriguing puzzle that scientists have been seeking to solve: how the building blocks that make up a proton contribute to its spin. The results, just published as a rapid communication in the journal Physical Review D, reveal definitively for the first time that different "flavors" of antiquarks contribute differently to the proton's overall spin -- and in a way that's opposite to those flavors' relative abundance. Anthony Craddock writes: Did you know that The Tom Bearden Website contains a staggering 8,823 Internet files, and takes up about 1.6 Gb of space? Complete books, articles, slide shows, video, selected correspondence, research…it's all there. The Table of Contents section alone is a treasure trove of information. Did you know, for example, that there is a great section on not only Biogenesis and Cloning, but also a caveat about the way that it is currently being done? And let’s not forget the incredible density of energy that is all around us waiting to be harvested, an energy so dense that a cup of it could boil all the world’s oceans. Via APS Physics: March 4, 2019/ The Casimir force between two metal plates can be made repulsive, tunable, and enhanced, if a chiral material is inserted between the plates. Bring two parallel, uncharged metal plates close together in a vacuum, and they will attract each other. In principle, this Casimir force could also be repulsive, something that is useful in certain applications, like keeping nanoscale objects apart. But for two plates of the same material that mirror each other, a famous “no-go” theorem says this isn’t possible. Now Qing-Dong Jiang of Stockholm University and Frank Wilczek, who holds appointments at the Massachusetts Institute of Technology, Cambridge, and several other institutions, show that the Casimir force can be made repulsive, large, and tunable, by inserting a “chiral” material between the plates. Via APS Physics: February 8, 2019 • Physics 12, 13 - A quantum effect in which random fluctuations help waves to propagate has been demonstrated in a chain of ten atoms. Helpful noise. Disorder in the electronic states in a row of ten trapped calcium ions can disrupt the flow of energy among the ions. But adding noise to the system can boost the energy flow. When electrons move in a conducting material or when energy absorbed from sunlight is shifted between molecules during photosynthesis, the process can be described using the wave equations of quantum mechanics. Wave interference can lead to a suppression of the transport of charge or energy, but, counterintuitively, random fluctuations such as thermal noise can actually improve this transport. Brilliant Light Power news: H2/Argon Composition and Flow Testing of a Cubic SunCell® Hydrino Reactor. In this test the SunCell® hydrino reactant gas mixture comprises hydrogen fuel added to argon at varying ratios and flow rates to determine the effect on power production. Trace gallium oxide inventory in a large reservoir of liquid gallium serves as a source of O for HOH catalyst. The gallium was injected from the reservoir to a counter electrode and recycled to maintain very low voltage atmospheric pressure plasma. The intensity of the sound of the reaction is indicative of the reaction energetics. View the video of the hydrino plasma run on our Videos page or directly on YouTube. Via e-catworld.com: Thanks to Thomas Kaminski for letting me know about a meeting to be held by the IEEE-Madison (Wisconsin) Entrepreneurs and Consultants Network on January 31st 2019 about LENR. The meeting will coincide with Leonardo Corporation’s online presentation of the E-Cat SK, and attendees will watch the event and discuss it afterwards. The meeting will be held at the Sector67 Community Workspace / Hackerspace / Makerspace at 56 Corry St. Madison, Wisconsin, and will start at 7:45 am local time. The meeting is free and open to the public. In picture is Robert Godes holding a catalytic rod. They believe that sending many short electric pulses down the rods that they are producing the conditions that generate extra heat. There is a di-electric layer with appropriate materials. Via NextBigFuture: Brillouin Energy has made progress since the 2016 SRI report. The 2017 SRI report indicated that the reactions were at a few watts and fairly reliable coefficient of power (COP) of 1.2 to 1.4 and 2 to 3 watts of reaction heat. The 2017 SRI report showed 4 to 6 watts of reaction heat and COP of up to 1.6. Since that report, Brillouin is now at about 50 watts of input and 100 watt of output. The coefficient of power is currently claimed to be reliablly and consistently at 2 in their recent tests. Via APS-Physics: Researchers have created a material that acts as a magnetic diode, transferring magnetism from one object to another but not the other way around. Jordi Prat-Camps creates magnetic metamaterials—structures that manipulate magnetic fields in unconventional ways. Over the last few years, the physicist, who is at the University of Sussex in the UK, and his colleagues have constructed a cloak that makes objects invisible to magnetic fields and a “wormhole” that directs a magnetic field between two points in space along an invisible tunnel, as well as other things. Their latest material—which acts as a magnetic diode—enables unidirectional transfer of a magnetic field between two objects. 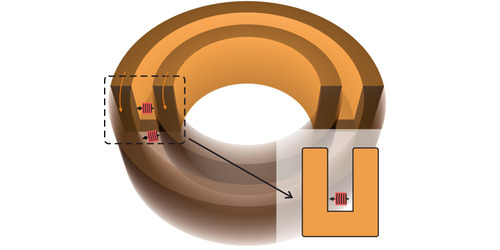 Prat-Camps says that such a device could increase the efficiency of magnetic-based wireless power-transfer systems. Agency responsible with filling the government's coffers with cutting-edge tech is funding a controversial drive that's based on unproven science. The law of conservation of momentum says that a rocket (or anything else) can't accelerate forward without some form of exhaust ejected backward. But in 1998, a British engineer named Roger Shawyer announced the seemingly impossible—he had built a closed system that could generate thrust. 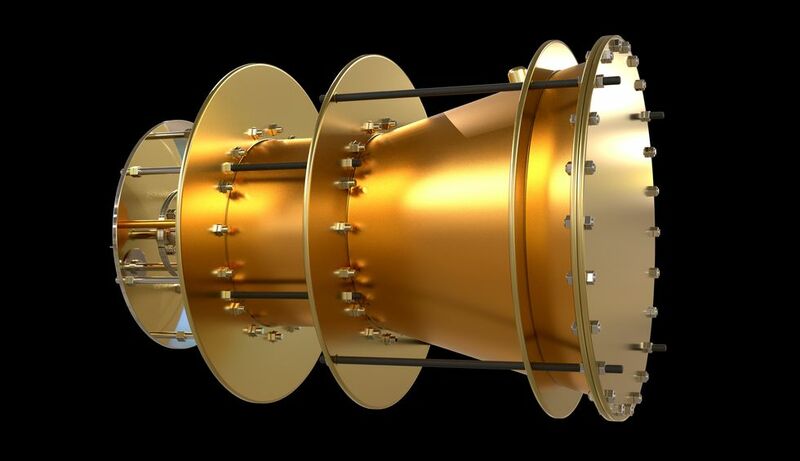 Twenty years later and many scientists still call the Shawyer's EmDrive impossible, but that hasn't stopped DARPA, the Defense Department agency that funds potential technological breakthroughs of all kinds, from putting serious money behind it. Andrea Rossi posted the following on the Journal of Nuclear Physics. I have read today this very interesting paper: “Electron Structure, Ultra-Dense Hydrogen and Low Energy Nuclear Reactions”, published on September 30 2018 by Antonino Oscar Di Tommaso ( Università Degli Studi di Palermo, Department of Energy, Information Engineering and Mathematical Models ) and by Giorgio Vassallo ( Università degli Studi di Palermo, Department of Industrial and Digital Innovation ). Here are elements that can help the theory we are working on: Zitterbewegung of electrons that obey the Dirac equation when in rapid motion can act as catalizers of virtual particles and antiparticles when the T of the field reaches their mass. ZPEnergy.com is looking for Correspondents to Monitor and Report on specific New Energy related Science & Inventor Sites and Discussion Groups. Especially, if you are a member following one or more of the Discussion Groups listed in our Other Info-Sources panel and want to be our correspondent for that particular list, we would like to hear from you. If you appreciate what we''re trying to do here and want to join our team, please use the Feedback or Private Messages [to Vlad] to contact us. We THANK YOU for your support of our efforts to inform the public about ideas, events and breakthroughs in the energy field that we hope would soon change the world into a place we all dream to live in. To break-through, an OU device needs an acceptable theory. · LENR Explanations - Intermittent, Haphazard Deuterium Ion Linear Alignment? · “Scientific Breakthrough: Cold Nuclear Synthesis Became Managed"